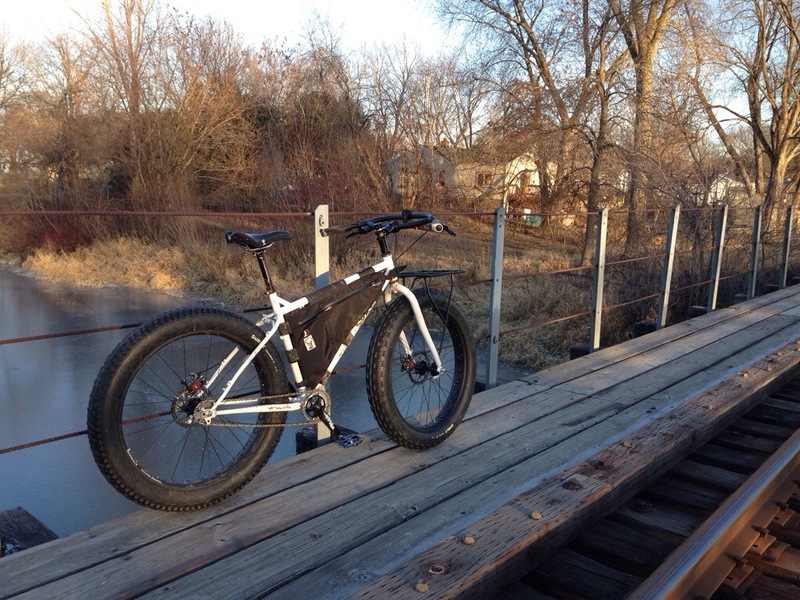 Global fat bike day turned to be low-key. Instead of driving to the woods or riding with the usual suspects, I went fat-biking with my wife. We went out for a little cold, fresh air before the sun set after a longish day of running errands and doing other chores. Since there’s only one (fully assembled) fat bike in the fleet at present, she started out on her regular commuter and I took the Pug. After a while we swapped, and then stopped for a couple of beers before heading home for the night. Markedly different from last year’s event, but fun all the same. Now I just need to get the other Pug up and running so that we don’t have to switch.